Expertly installed metal gutter guards and gutter screens in Northern Virginia. Maintaining a clean gutter system with an unobstructed channel for free water flow is perhaps the most important factor for ensuring the integrity and long life of the gutter system and any property that may be affected by a poor gutter system, such as the roof, home exterior, foundation, basement or crawl space, walkways and landscaping. 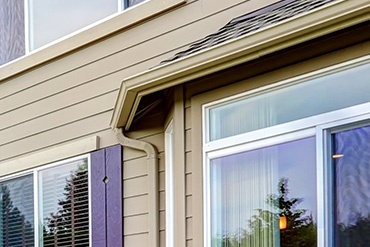 One of the simplest methods homeowners turn to for maintaining a clean gutter system (and easier upkeep) is to install a metal gutter guard or screen. Metal gutter screens and guards protect gutters from debris accumulation, such as leaves, twigs, nuts and cones and asphalt roofing granules. Moreover, many leaves and debris become acidic when decomposed. This acidity can deteriorate and damage gutter metals and paint, which leads to rust, leaks and weakened joints. There are several styles of metal gutter guards and screens from which to choose. Some capture only large debris, while the more effective guards and screens capture nearly all debris. 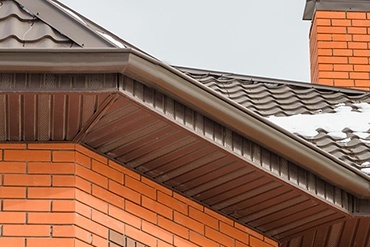 For choosing the best protection for your gutters, consider the trees common to your community, and the efficiency of the guards or screens desired. Gutter screens can be made of wire mesh, nylon or foam, and are simpler and cheaper to install, but don’t last as long as metal gutter covers. Metal gutter guards look more appealing than mesh screen covers. 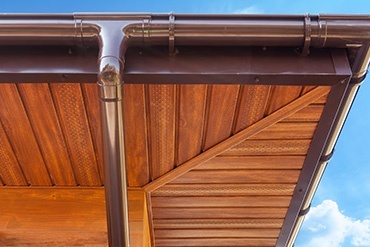 Metal gutter guards limit the waterflow into gutters. If gutter systems are left unguarded to debris, they must be cleaned regularly to avoid property damage and untimely gutter replacement. Cleaning debris from the gutter system is risky work, and requires the skill of a professional. 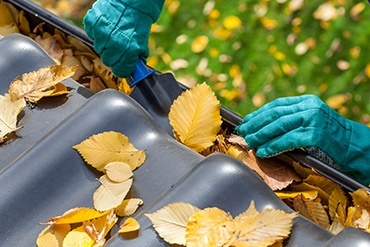 Every year, many serious accidents are attributed to homeowners injuring themselves while attempting to clean the gutters and/or roof. For best results for your Northern Virginia or Southern Maryland home, contact Exterior Medics. 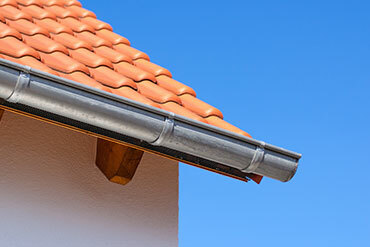 We understand the vital role gutters provide for home and property. We offer a wide variety of metal screens and covers to meet any project and budget.